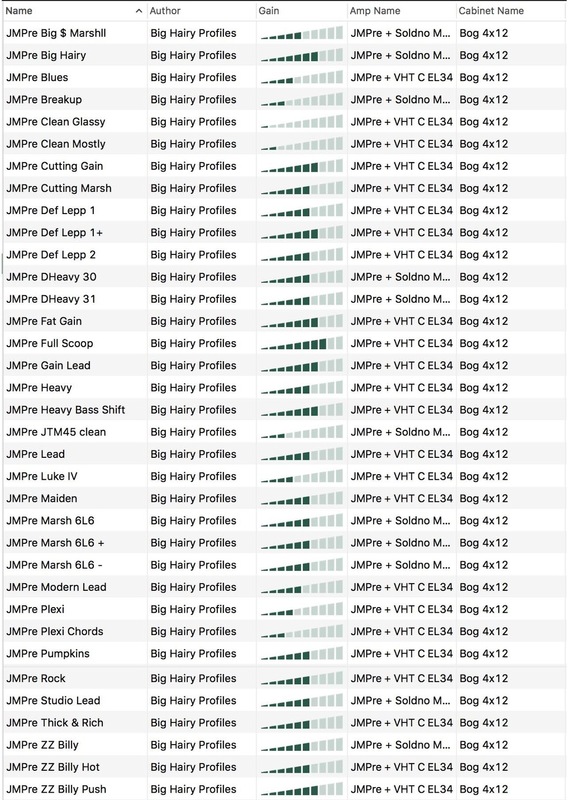 The BHP JMPre Profile Pack contains 35 profiles for the KPA. 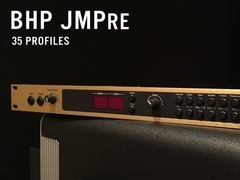 The JMPre seeks to recreate tone from racks and rigs that incorporated the Marshall JMP-1 Midi Controlled Preamp into a VHT Classic EL34 power amp, and a rare Soldano Mono Power Amp into Bogner 4x12 v30. 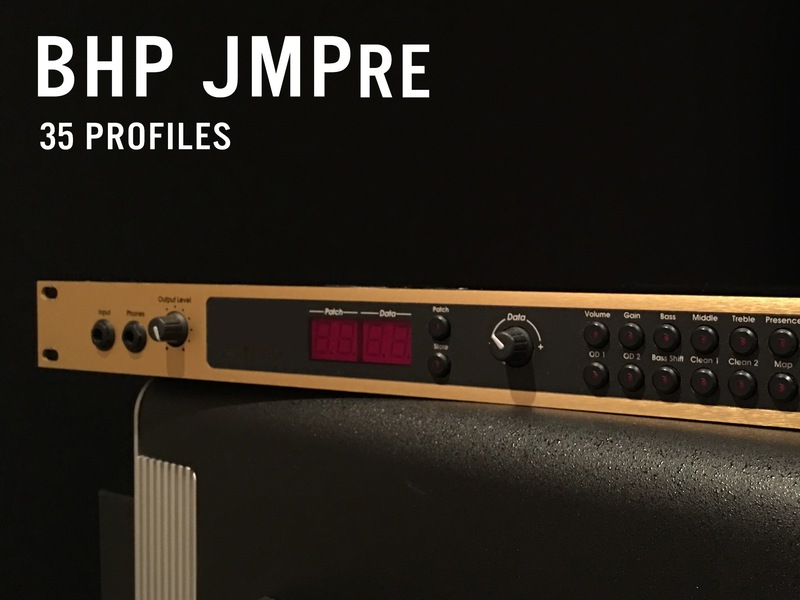 No-one could call it a "one trick pony" when JMP-1 users are as diverse as Def Leppard, Billy Gibbons, Billy Corgan and Iron Maiden, but the JMP-1 really really excels at giving up chewy juicy modded Plexi and 800 Marshall style tones. 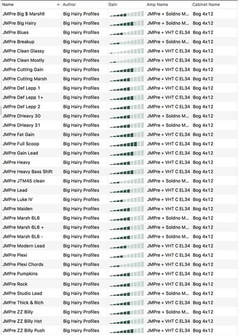 It will also get Deftones heavy, and surprisingly, the cleans are very nice. The JMPre Profile Pack captures that lightning in a bottle. 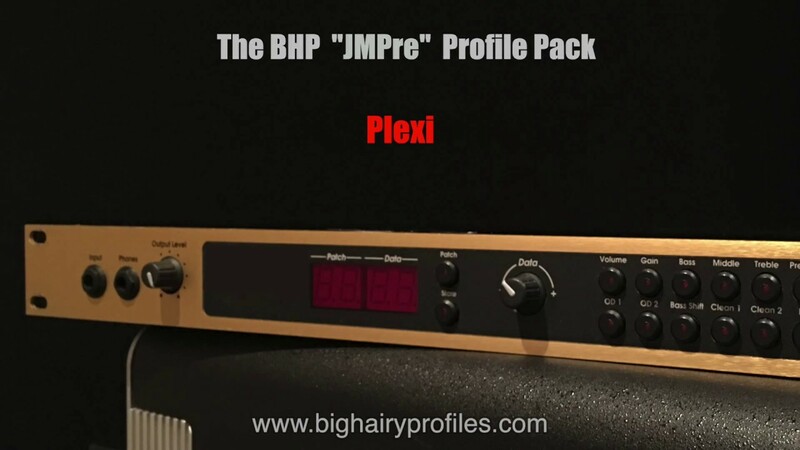 The BHG JMPre is a pack of 35 profiles for use with the Kemper Profiling Amplifier.